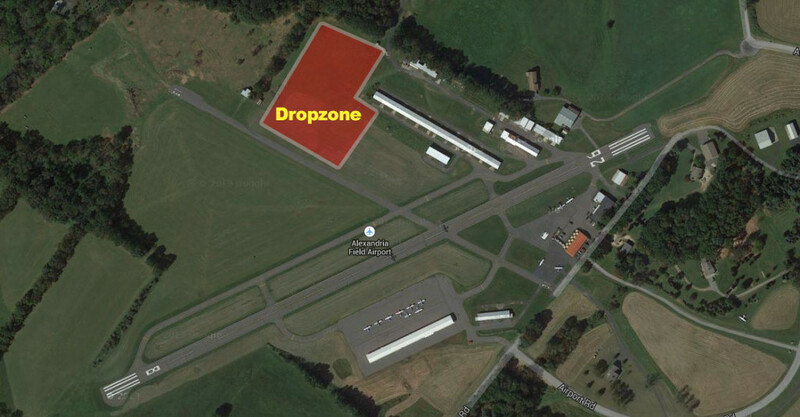 Skydive Jersey joined the Alexandria Field community in 2011. The operation is in full swing from April 1st to October 31st. Both Kenny and Chuck (owners of Skydive Jersey) strive to operate a safe and profitable business, which requires that both the skydive pilots and the Alexandria Field pilots communicate through the FBO with any safety concerns, both on the ground and in the air. Thus far all operations have been successful and we look forward to solving any issues as they might arise. 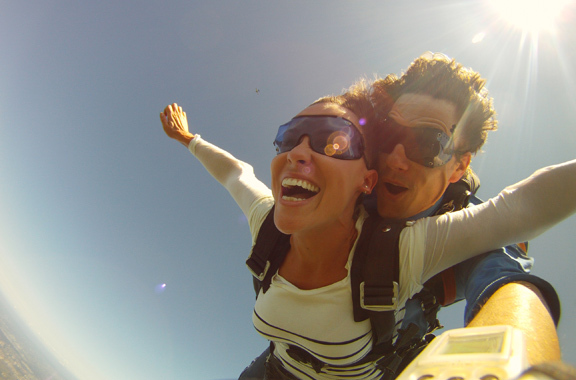 To find out more information about Skydive Jersey and setting up a reservation, click here. L-R Chuck Owen, Joe Borin, Bill Fritsche, and Kenny Pugh. 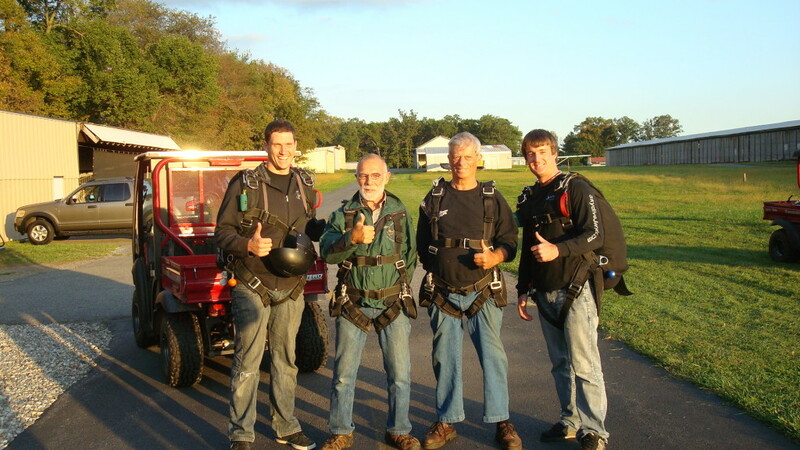 Bill and Joe celebrate Bill’s 50th high-school anniversary with a tandem jump. Pilots please see NOTAM information for skydiving specifics. Below is the overhead view of the skydive dropzone.